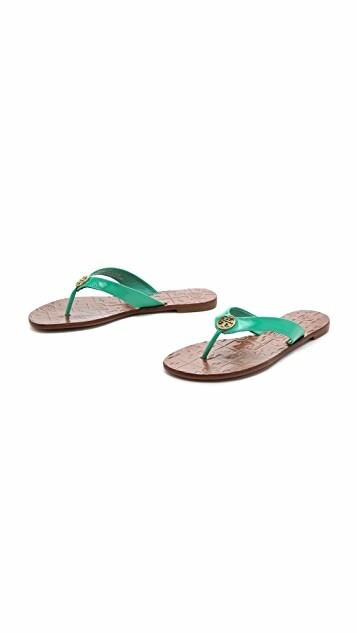 Patent leather Tory Burch flip-flops sport a polished logo medallion at the centered of the subtly textured thong straps. Logo-embossed footbed and rubber sole. 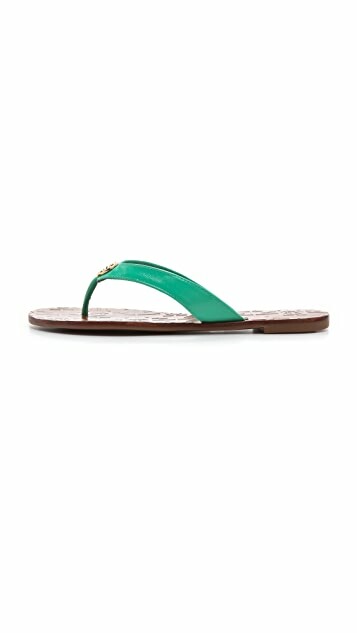 Have these in metallic--love the green color! Not the best option for walking long distances because of how flat they are. Still love them for dressing up a casual summer outfit! 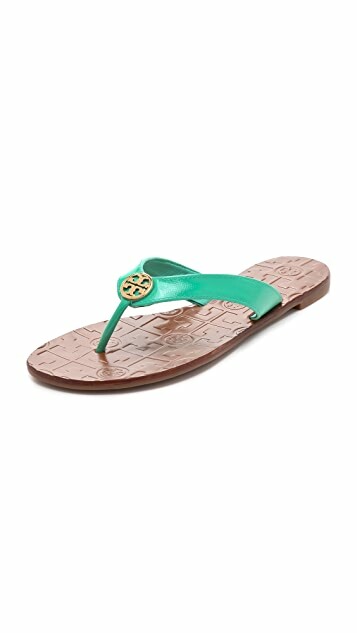 Got these for my cousin, after 5 minutes of wearing them she complains the gap of her toes hurts on one of the shoes as it is not aligned straight but sort of tilted and it hurts. Don't know how to fix it, hope it gets better with more wears. Looks very pretty though. The sandals was true to the picture. Everything was fine except that the part where you will be stepping on is hard and not really suitable if you are going to walk a long distance. Overall it is still ok. Comfortable sandals I wear them all the time! Love!! !